I am writing this blog as we make our way from the Bahamas to the Turks and Caicos. This leg of the journey, about 300 nautical miles, has been difficult. 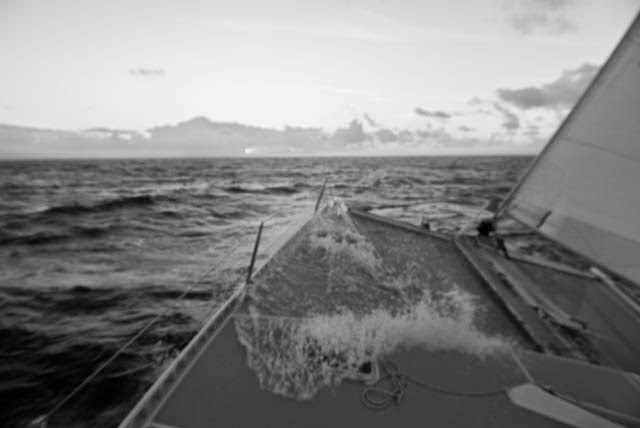 The trade winds out of the east have been robust and the sea swell has been relatively large, and we had to make our way into both. We took seas over the bow that rolled into the cockpit, none of us could stand up without being tossed, the wind howled, a couple hatches were opened and bucketful’s of green sea water drenched bedding and galley, and we sailed through two days and two nights, with nights being hardest because you could not see what was coming next. On board Sea Angel are seven; Weston my first mate, close friends from California with their son, my son Colton and his girlfriend. Early in the passage a few of us discussed how we like this sailing stuff and there was a consensus that some only desire “fair weather” sailing. It was posed as a question to me, as if I was an anomaly, if I liked the difficult conditions. It got me thinking. Most on board are fair weather sailors. Myself, I am a sailor and I know there are days that are perfect but there are days that are not; there are certainly days that challenge me. As a sailor on a long journey I have to accept it all. Water on the Deck!!! "Quit that!" Sailing is like life. We start somewhere and we finish somewhere and along the way there are periods of beautiful calm but there are the storms too. If we consciously choose to reach a destination, be it a position on the globe, or the place we challenge our hearts to be when we “finish”, then we have to accept and yes, even be thankful, for all the parts of the journey, even the uncomfortable. Each turn of the rudder, shift in wind, condition, event, or relationship along the way when put it together form our unique path from our beginning to our end. So do I like sailing in crazy uncomfortable conditions? No, not particularly. To me, sailing is a journey between cultures and people. It is ultimately about human relationships. Reaching new places and people. Sometimes it is beautiful, sometimes painful, and sometimes difficult. Sailing and life are a lot alike. I personally love all of it. 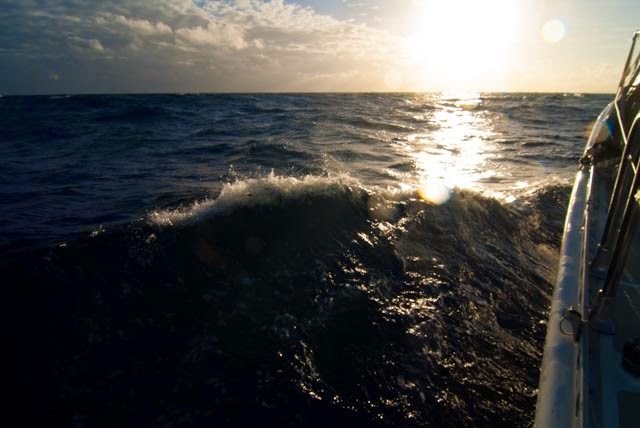 Sunrise brings an end to the uncertainty of wild seas.. for now. Life's little blessings, smooth sailing and happy. 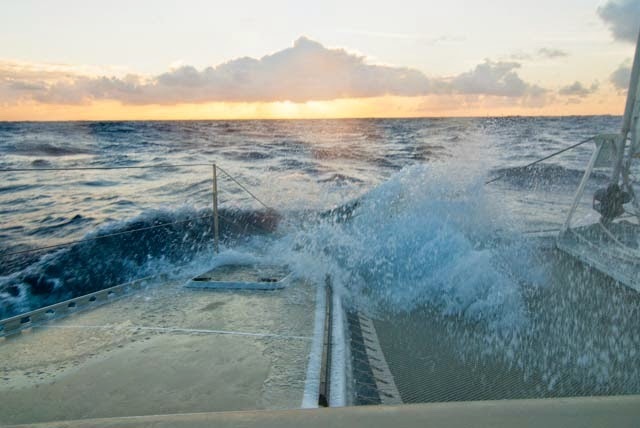 The Sea Angel is sailing to the South Pacific for a cause- Sea Mercy is a benevolent program developed for disaster and critical care needs for remote islanders. Sea Mercy is a non-profit 501 (c) (3) charity with a simple vision and mission to "stand in the gap" with a service delivery vessel, trained health care volunteers, support equipment, and critical care services as island nations develop their "outer island" health care infrastructure, when critical health care need opportunities are present, or when disasters occur. Read more about Sea Mercy's 2014 Impact. If Sea Angel's journey resonates with you, we welcome you to consider donating on our behalf to Sea Mercy - there are several ways to get involved. Sea Mercy's Corporate "We Care" Program is designed to help organizations attract and engage clients, vendors, and employees in the spirit of social responsibility and provide a wonderfully enriching partnership. There are several ways to participate with "We Care". Visit Sea Mercy's website for additional information. If you know of an organization or would like to involve yours, please share this information forward. The more we sail, the more we understand how important it is to foster these types of relationships in everything we do. Our journey still has a long way to go, and we thank you for being here with us. 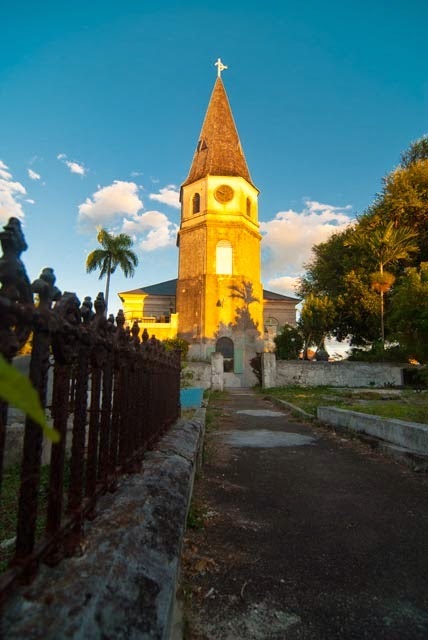 The crew of Sea Angel attended St. Matthew’s Anglican Church in Nassau. 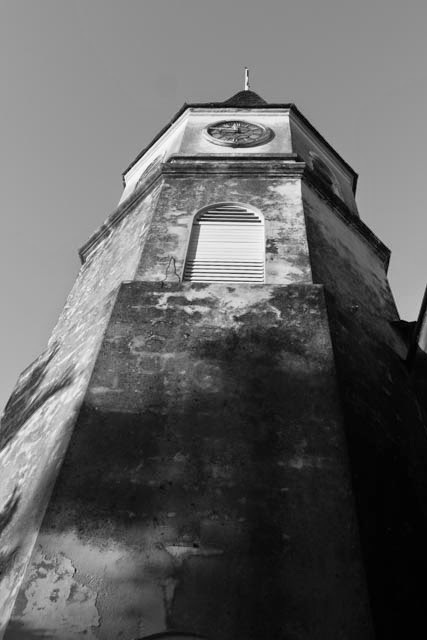 It is the country's (Bahamas) oldest church edifice, dating back to 1802. It sits solemn in the middle of a very old and very unattended cemetery. The old and weathered exterior is in distinct contrast to the beautiful and alive inside. We enjoyed two special moments. The first was a long pause mid-service to exchange blessings, and when the congregation took special time to greet us as guests to their church. But the most powerful and moving was the “singing” of the Lord’s Prayer. The entire congregation held hands and we all sang from the depths of our hearts. To me, it emphasized a discussion I had the previous day about the power of prayer when two or more joined together. It was a very beautiful continuation and connection delivered by God. Later in the afternoon I returned to the church to photograph it in the evening sun for the blog, and was then blessed to meet Gerald. 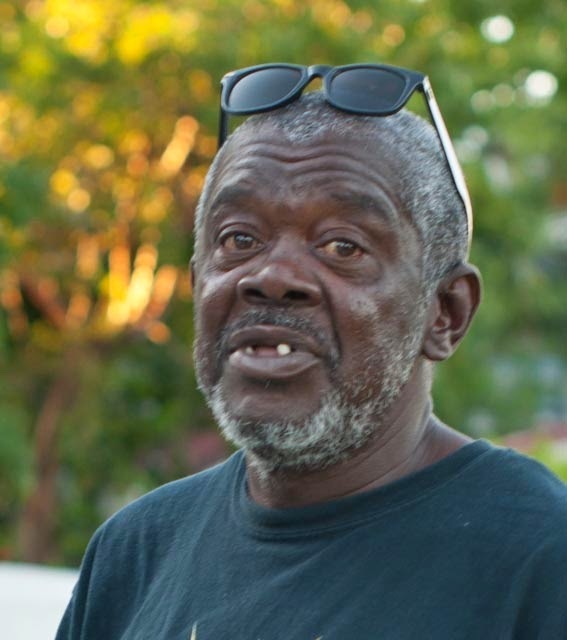 Gerald is a man who lost his wife last year. He stood alone over a grave with a tombstone that gives only the names of his wife’s mother, her grandmother, yet even though his wife rests there now too, the stone does not honor his beautiful wife Bren Hilda. He knew she was there and that may be all that really matters. He is 59 and he knew her since he was 6, was married to her for 22 years, was deeply in love with her, and returns each week to her grave for strength to go on. We spoke of the true value in life being relationships, being love. We spoke of his children and their not yet realizing it is love and relationships that make life a beautiful thing. We spoke of life as a journey and we each arrive to that realization at our own time, when we are ready. I respected Gerald’s love, his faith, and his wisdom. The real rhythm of this journey is beginning. It is about people, connection, and Love. Thank you Gerald for your reminding us of that. 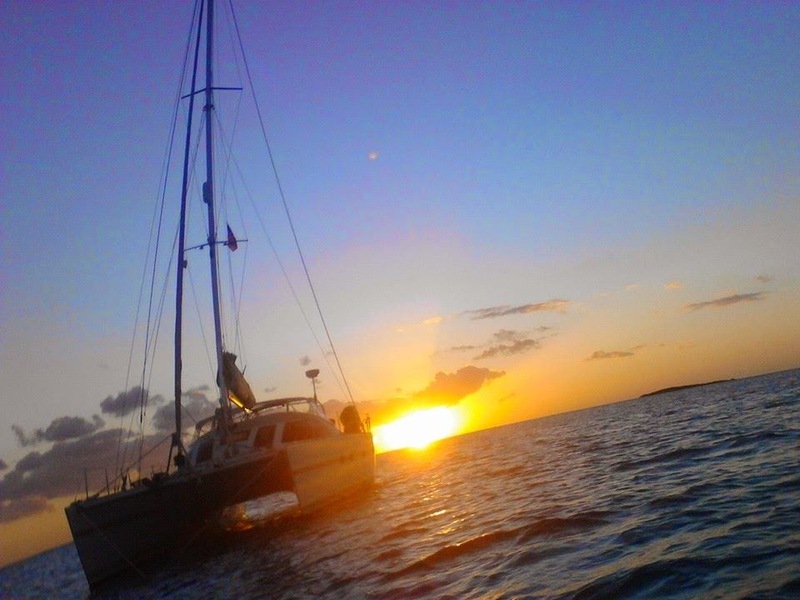 Tomorrow we start moving south again, down the Exumas and to Georgetown, God willing, by Monday the 22nd. Sea Mercy's Corporate "We Care" Program is designed to help organizations attract and engage clients, vendors, and employees in the spirit of social responsibility and provide a wonderfully enriching partnership. There are several ways to participate with "We Care". Visit Sea Mercy's website for additional information. If you know of an organization or would like to involve yours, please share this information forward. The more we sail, the more we understand how important it is to foster these types of relationships in everything we do. Hello everyone! The wind has finally moderated and the forecast into the upcoming week is for modest winds out of the north and east. Yesterday we had a few squalls, rain, and winds gusting mid and upper 20s. 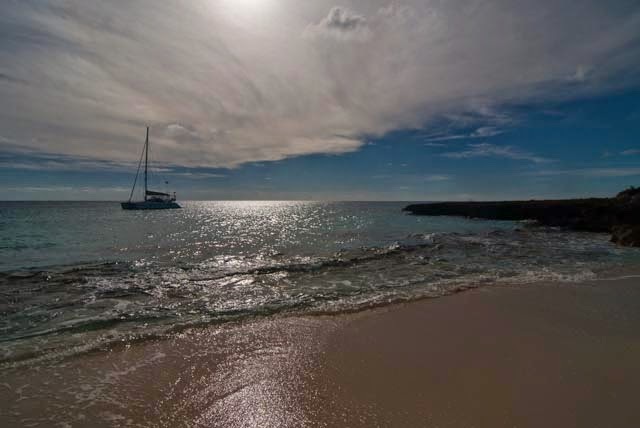 We spent the night on the hook at Rose Island outside Nassau. Today, Saturday is the first day we have seen in a long time with moderate wind, beautiful and pleasant. 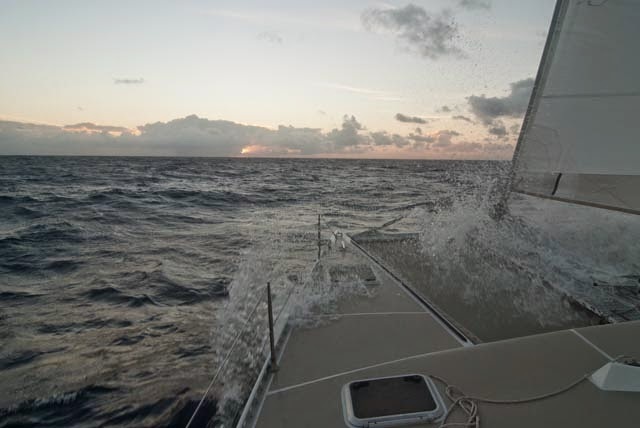 The wind is 14k out of the NE and we are on a beam reach sailing 7 knots, plus on our way to Norman Cay in the Exumas. What a great day to be sailing! The boat and crew are all doing well. 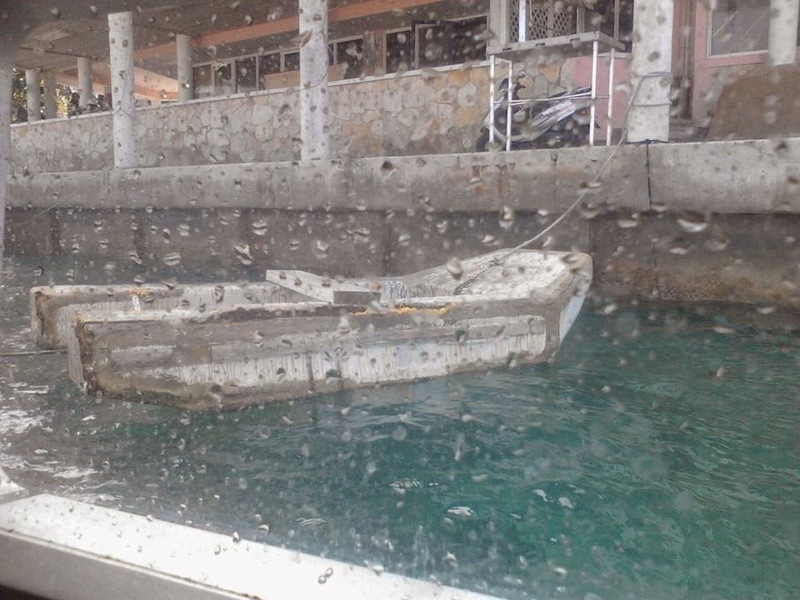 We expect to stay for a while in the North Exumas until we have to return to Nassau for flight connections with visiting friends and passengers. Updates again soon, thanks for your love and support on our journey! 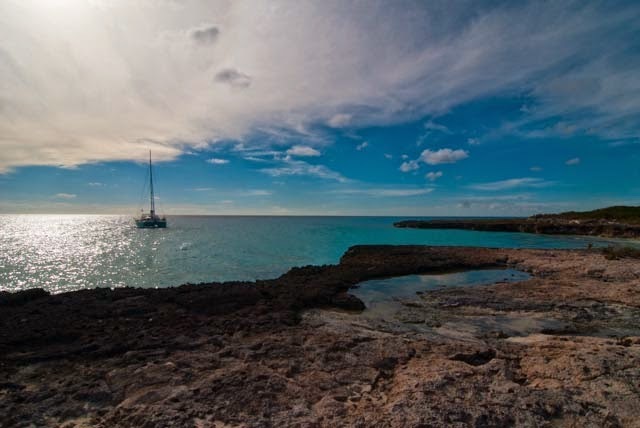 Perfect sailing weather as Sea Angel heads out to explore the Exumas! If Sea Angel's journey is valuable to you, we welcome you to consider donating on our behalf to Sea Mercy - they have several ways to get involved and are so grateful for your support.